Alterna Bamboo Abundant Volume Conditioner 67.6 Oz. Bamboo Abundant Volume Conditoner combines strengthening pure Organic Bamboo Extract and stimulating phyto-nutrient rich Organic Maca root in a paraben & sodium chloride free conditioner. With Color Hold technology for color retention. Directions: After rinsing shampoo massage throughout wet hair. Rinse thoroughly. 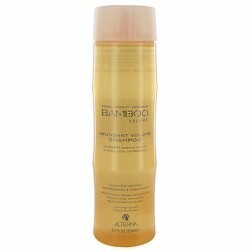 For optimal results start with Bamboo Abundant Volume Shampoo. Water (Aqua) Cetearyl Alcohol Dimethicone Glycerin Cyclopentasiloxane Cetrimonium Chloride Stearamidopropyl Dimethylamine Panthenol Bambusa Vulgaris Water Polygonum Multiflorum Root Extract Foeniculum Vulgare (Fennel) Seed Extract Glycine Soja (Soybean) Seed Peroxidase Saccharomyces/Copper Ferment Daucus Carota Sativa (Carrot) Root Extract Ganoderma Lucidum (Mushroom) Tyrosinase Algae Extract Hydroxypropyltrimonium Honey Helianthus Annuus (Sunflower) Seed Oil Bambusa Arundinacea Stem Extract Hydrolyzed Cottonseed Protein Paullinia Cupana Seed Extract Serenoa Serrulata Fruit Extract Lepidium Meyenii Root Extract Corn Oligosaccharides Cyclohexasiloxane Behentrimonium Methosulfate Phenoxyethanol Quaternium-87 PPG-3 Benzyl Ether Myristate Polyimide-1 Hydroxyethylcellulose Citric Acid Divinyldimethicone/Dimethicone Copolymer Quaternium-91 Cetrimonium Methosulfate Linalool C12-13 Pareth-23 C12-13 Pareth-3 Limonene Polysilicone-15 Phospholipids Methylchloroisothiazolinone Methylisothiazolinone Superoxide Dismutase Saccharomyces/Lysate Ferment Retinyl Palmitate Azelaic Acid Calcium Pantothenate Calphostin C Magnesium Ascorbyl Phosphate Magnesium Salicylate n-Carboxyethyl Butyric Acid Niacin Ornithine Decarboxylase Phosphorus Saccharomyces/Zinc Ferment Threonine Tocopheryl Acetate Zinc Gluconate Lactoferrin Phytosphingosine Acetyl Methionine Acetyl Serine Amino Acyl tRNA Synthetase Copper Lysl Oxidase Lentinus Edodes Tyrosinase Fragrance (Parfum). 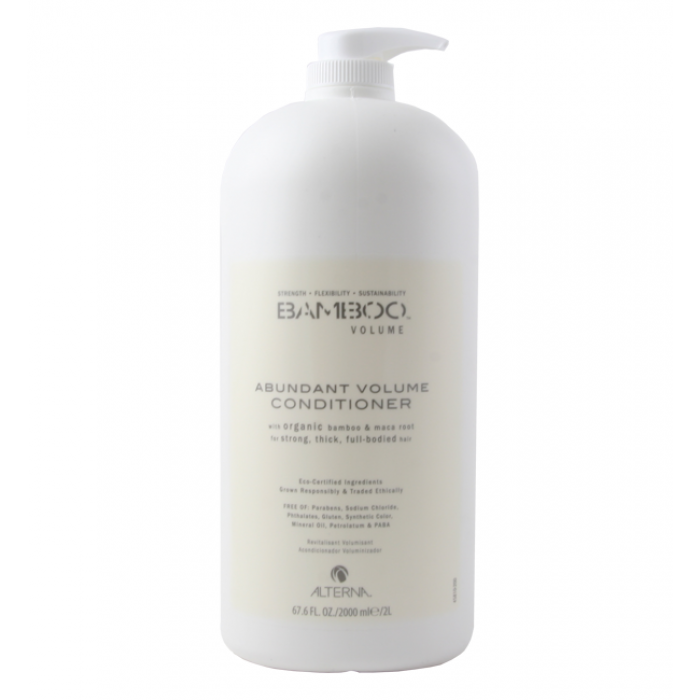 Questions & Answers About Alterna Bamboo Abundant Volume Conditioner 67.6 Oz. Alterna Bamboo Abundant Volume Shampoo 67.6 Oz.